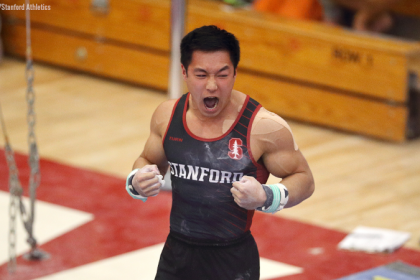 Whether you’re ready for the rise of the double-twisting Yurchenko or excited for the more unusual vaults of college gym to head to the competition floor, make sure to keep an eye out for these 10 too. When was the last time you saw a front handspring tuck full in the NCAA (or even elite)? My guess is it was around the time of Milan Ivory at Iowa State. The vault is exciting in and of itself, but Solari’s potential on the event when performing it is a prospect too juicy to pass up. While whether or not the redshirt junior makes the lineup is up in the air, the prospect is exciting enough for me to have her as one of my two most anticipated. I love a good front handspring pike half, and Kelley’s looks pretty good based on the few training updates we’ve seen. She’s been teasing a Yurchenko double all offseason, and makes it look easy even to a hard landing. I can’t wait to see this in January, with the junior back to full strength after injury last year. It may just be a full, but come on. That’s a perfect vault. I’d take Finnegan’s absurdly good full over most 10.0 vaults. The British elite recently competed a full-twisting Yurchenko, a double-twisting Yurchenko and a handspring front tuck half, as well as training a handspring pike and a handspring pike half. 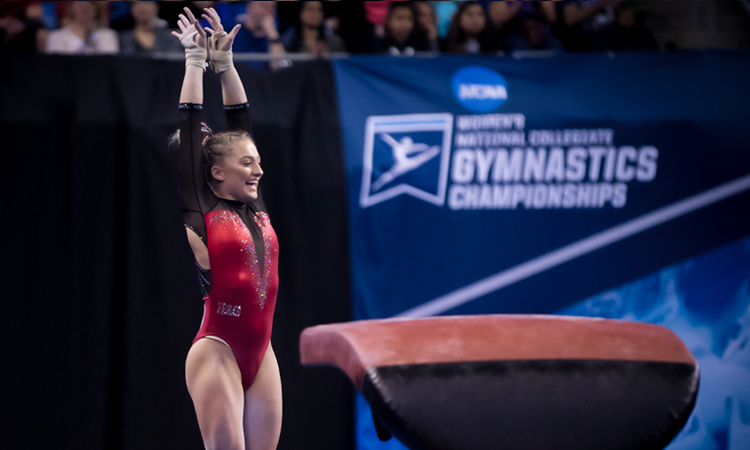 As with many elites in their freshman NCAA season, the full-twisting Yurchenko is the most likely pick—but I think her double is good enough to compete in Ames, and I’d love to see her give it a try. WHAT IS SHE GOING TO VAULT, GUYS. IT’S DRIVING ME NUTS. Coming back off an injury last season in J.O., it seems likely that Elswick will stick to the 1.5, at least at first. But she had a gorgeous double-twisting Yurchenko in J.O. that I’ll be keeping my eye out for over the next couple of years. Loper posted some big scores with her Yurchenko 1.5 last year before she was sidelined with an Achilles injury. 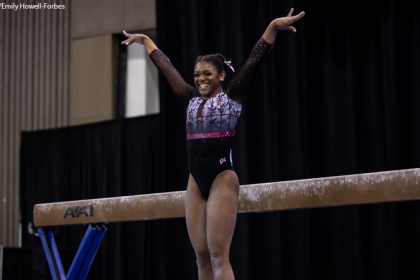 The vault looked to be very consistent for her last year even coming off a preseason injury. I can’t wait to see it in competition this year; training videos seem to indicate she hasn’t missed a beat getting it back. To be honest, I’m really excited to see the entire UWO vault lineup after seeing a whopping five twisting vaults in a preseason practice update. However, Jarvis’ Yurchenko full is definitely one of the most viable options of the five, and it is huge! There’s some leg separation and issues controlling the landing at this point, but once she works out the kinks, it should be a big score for the Titans. On Saturday our 6th day of Christmas was our Black and Gold Intersquad! The teams performed great and we are looking solid! Here are a few highlights from the day! Putting up a twisting vault would be a major upgrade for the Gusties who typically have a lineup mostly of Yurchenko pikes and layouts. Redding, a freshman, has been training a Yurchenko full, and competed it at the team’s intersquad. 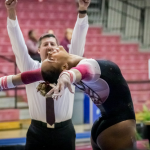 Though it doesn’t look like it’s competition-ready yet, hopefully she will be able to add it in mid-season to boost both her chance as an individual and her team’s chance of qualifying to nationals.